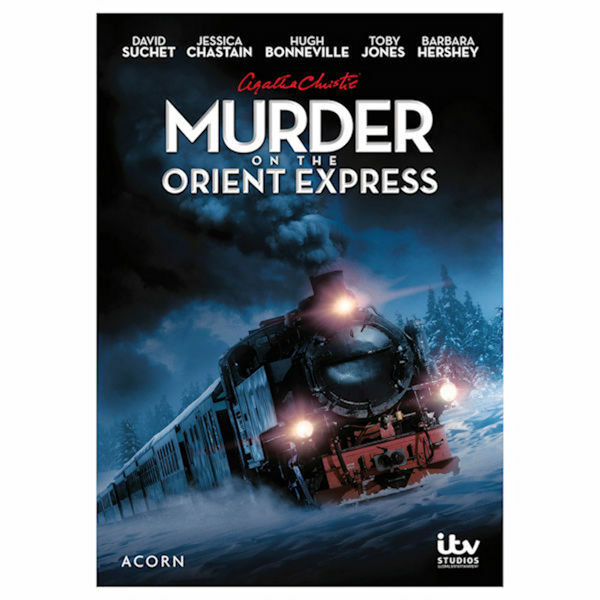 Traveling from Istanbul to London on the luxurious Orient Express, Hercule Poirot (David Suchet) must solve the murder of an unsavory businessman. Dame Agatha Christie's quintessential mystery is brought to life by an all-star cast including Jessica Chastain (Zero Dark Thirty), Hugh Bonneville (Downton Abbey), Eileen Atkins (The Crown), David Morrissey (The Walking Dead), Barbara Hershey (Hannah and Her Sisters), and Toby Jones (Detectorists). Seen on Masterpiece Mystery! in 2010. 90 min, 1 DVD. Blu-ray disc sold separately (XA0172). SDH.